As those of you who have read this blog know, a little over a year ago I became fascinated with six-word memoirs after hearing about this particular story form in a piece on NPR. 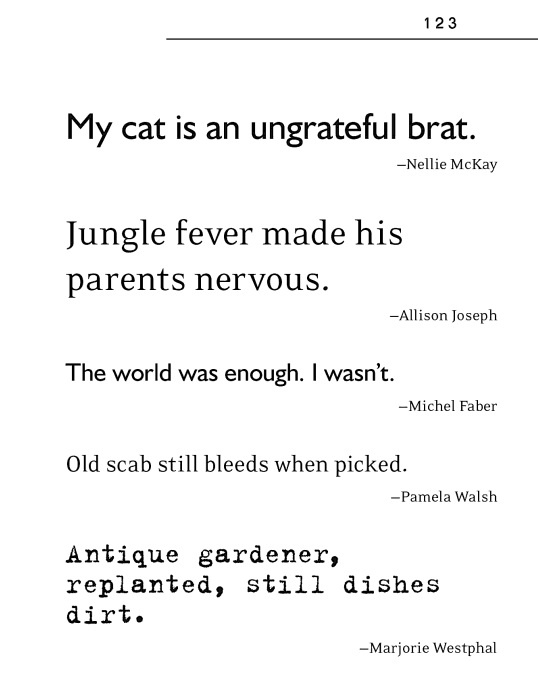 The people at the storytelling website SmithMag had published a book, a collection of 6 word memoirs. I loved the creative challenge, and in SHORT form started a new “micro” blog to chronicle my own daily entries, which I’ve been doing for the last 15 months. The name of the blog, “The Pam-oirs,” was my friend Diane Henry’s inspired idea! Fast forward …. last month, I received word that one of my “memoirs” was selected for a new book of this unique story form. It All Changed in an Instant: More Six-Word Memoirs by Writers Famous & Obscure will be released this month, and they are kicking off their book tour in Austin with an event with readings at BookPeople this coming Friday night, January 8, 2010 at 7:00 p.m.
Thousands of memoirs are written every year, most of them clocking in at over 40,000 words. 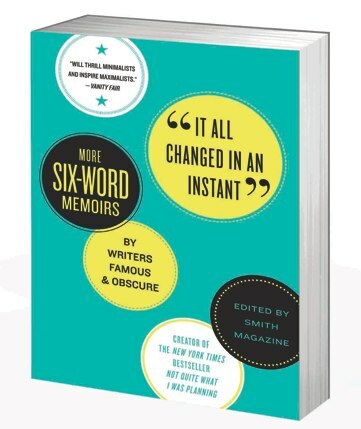 In It All Changed in an Instant, writers (both famous and not) are challenged to write their own six-word memoirs. The results range from funny to poignant. Authors Larry Smith and Rachel Fershleiser will be here at 7 PM. We are running a six-word memoir contest in honor of this event, so bring your brief memoirs to the reading where will award prizes to the winners! Here’s our six: Reading of short memoirs inspires, entertains. Our readings are fun, participatory, and short! We start on time & end 45 minutes later. Six Word Memoirs are intriguing. Can you concisely tell a story in EXACTLY six words? But one of the things that I particularly enjoy about this genre is their inherent mystery. While sometimes the story behind the memoir is quite obvious, often times the reader is left to wonder, “what’s this really about?” Many times I have had folks say to me,”Oh, I know what THAT one was about,” only to be wrong in their assumption. For me, that is the fun. The interpretation can be so universal, but if you know the story, it’s a bit like pulling the curtain back on the Wizard of Oz. So, if any of you are interested in seeing this art form in action (not to mention celebrating the book’s release), I’d be so honored to share the evening with you. BookPeople is located in downtown Austin at 603 N. Lamar, next to Whole Foods. Additional book events are scheduled for Brooklyn, Milwaukee, San Francisco, Seattle & New York City. For dates and more information, please check out the book tour schedule. And finally, pictured below is MY page, PAGE 123! Woo-hoooooo! Today the Toilet, Tomorrow the Coffee Table! Congratulations on being selected. Yours was my favorite of the page you showed. Your blog is intriguing to me, especially as I enjoy the occasional tree pose. Thanks for the blog about this book! Thank you Kate for you kind comment. For me, much of yoga is tied to reflection in writing, sometimes in 6 word posts, sometimes much longer. BTW: if you haven’t already done so, you might enjoy checking out my OTHER blog: http://pamoirs.wordpress.com That site is my 6 word daily diary, nothing else.